The new season starts on 15 April and will run fortnightly on Monday evenings from 6.00-8.00 pm through to October. Coaching will be available to help and to explain the rules. We play at Preston Park Lawn Croquet Club, Preston Drove, BN1 6LA. It is next door to Preston Park Tennis Club on Preston Drove. All equipment will be provided by the club, just be sure to wear training shoes. 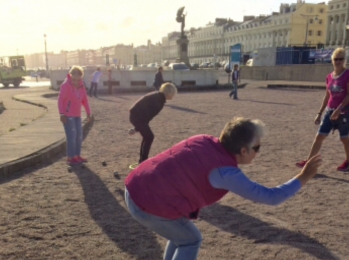 The new season starts on Monday 15 April 2019 and will run fortnightly on Monday evenings from 6.00-8.00 through to October. Coaching will be available to help and to explain the rules. Up to 16 people can play each session. The cost is cost £6 per player. 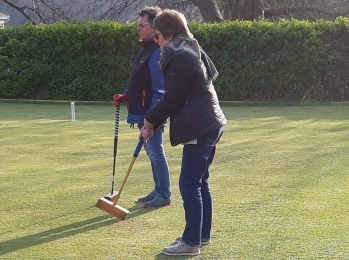 We play at Preston Park Lawn Croquet Club, Preston Drove, BN1 6LA. The club is next door to Preston Park Lawn Tennis Club at the bottom of Preston Drove. The season continues on Monday 29 April. All details shown above on the website. Please register now to express your interest. If, after you have registered, you are not going to make it can I ask you to take your name off the list please. 8 members are already going. Sign in to see who they are and add your name. 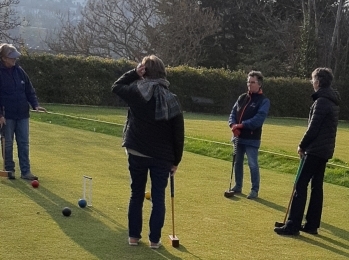 The next session of croquet will be on Monday 13 May at 18.00. All of the details shown above on the website. Please register now to express your interest. If, after you have registered, you are not able to make it can I ask you to take your name off the list please. Looking for something different? Check out the full list of of BLAGSS groups at the bottom of the page, or see the other sports page for links to other London and Brighton LGBT friendly sports groups. Found a problem on this page? Help us put it right by letting us know what you were trying to do on which page and what error or problem you encountered. Click here to report the problem.